At NAMM earlier this year, Roland previewed an upcoming feature for Serato that would allow users to sync their Roland gear to their music, thus inspiring new live performances and beyond. Dubbed TR-Sync, the update is compatible with Roland&apos;s drum machines and synths, keeping your patterns in time with your tunes. In this review, we will be exploring this new update, as well as their TR-8S. 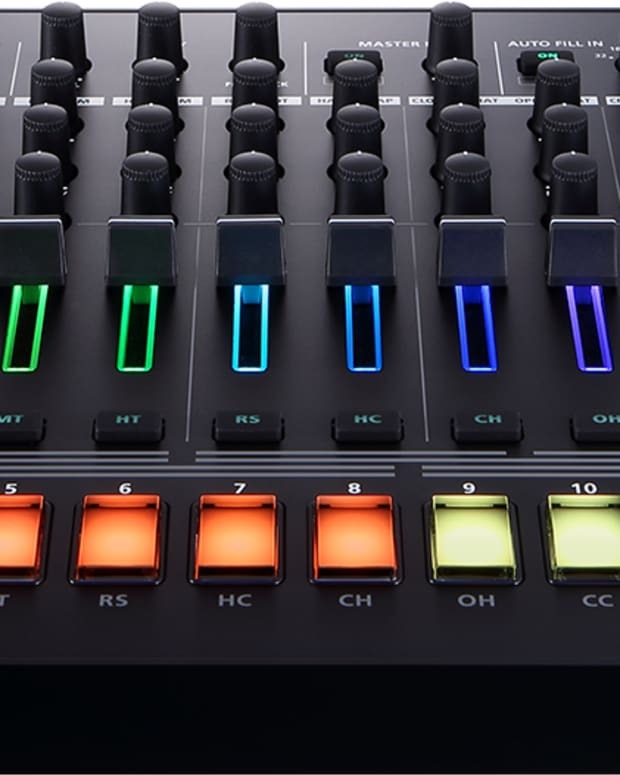 The TR-8S is Roland&apos;s follow up to their highly successful TR-8 digital drum machine and includes a whole host of new features that greatly improve its performance both in the studio and on the stage. A few of the new features include a new and sleeker design, more in/out connections, easier and more immediate playability, and of course, the ability to sync with Serato. TR-Sync is an update to both Serato and the latest line of gear from Roland, which allows seamless connectivity between your gear and your performance. TR-Sync comes native in the latest edition of Serato Pro and is available in the latest firmware updates of Roland&apos;s drum units. 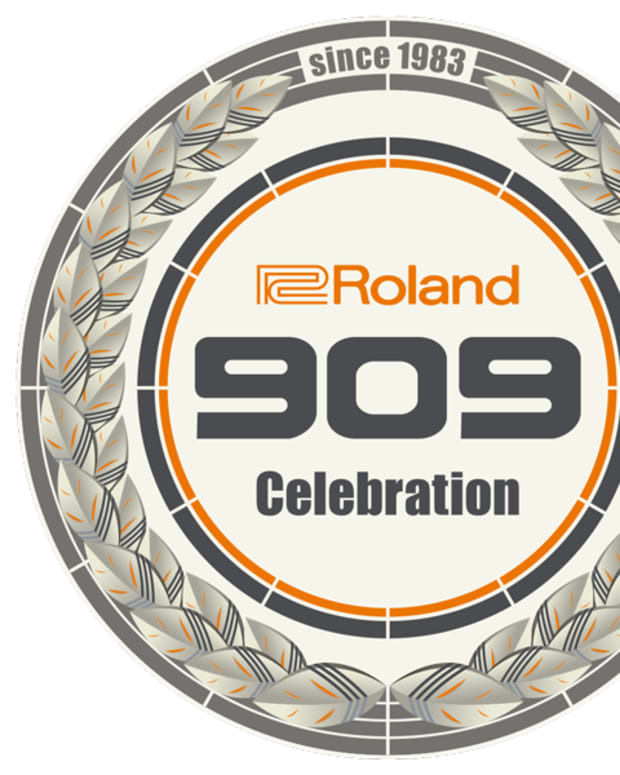 Compatible gear: TR-8S, TR-8, TR-08, and TR-09 drum machines. The TR-8S works in a multitude of ways, depending on your way of working. Its most basic function is as a standalone drum machine that requires nothing more than either headphones or speakers. It comes filled with all kinds of samples, including full "kits", which you can think of as full drum kits or machines themselves, like the 707, 808, 909, etc, as well as a plethora of other samples including synth and bass one-shots and more. You can now even load your own samples via the SD slot in the rear. Sequencing is similar to the original TR-8, and other Roland products and the faders help make for instant gratification when playing. Roland also included 43 effects, instead of simply reverb and delay. If you don&apos;t plan to use this machine just on its own, the various ins and outs make it a breeze to add to your live setup, either via USB or MIDI. When using via USB, you can use it as an interface to record each channel out individually, which is extremely helpful when you&apos;ve got a great sequence going. You can also use the direct in ports to use the effects of the TR-8S on your external gear should you wish to. For TR-Sync, setup is very simple but will vary depending on whatever hardware you&apos;re using. 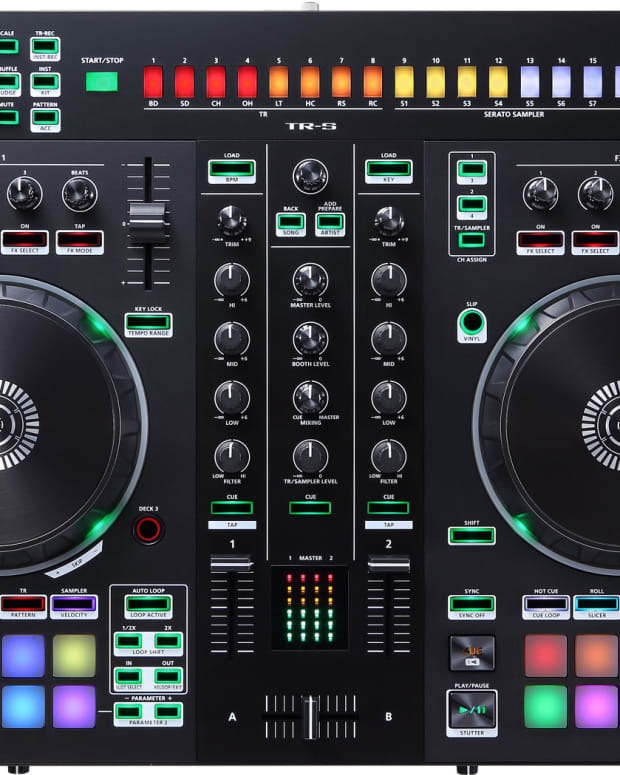 In the case of the TR-8S, when you&apos;re running the latest available edition of Serato Pro version 2.1.1, you simply plug your unit into your computer via USB, press mute, turn the Tempo knob to the right, and Serato Sync will be engaged. The LED screen will also indicate this. The TR-8S will be in time with whatever track in Serato you turn sync on for. Please note that you need to have Serato DJ enabled hardware, like a mixer or controller, to use this function, as the TR-8S works as an OSA or Official Serato Accessory. Also, note that audio from the unit is routed separately. I&apos;ve always liked the idea of the TR-8 and TR-8S line. Immediate control and playability make me much more inclined to use something than having to deep menu dive just to use basic functions. In this case, while there is a bit of diving to find a kit or sample you like, once you&apos;ve got it locked, the TR-8S is very enjoyable to use. Admittedly, it was a bit frustrating trying to navigate the menus without reading any of the manual, which is my fault, but I still find the menus to be not the best. With more time, this will get easier. One thing I&apos;m not keen on is that you can&apos;t listen to a sample prior to loading it, or at least not that I&apos;m aware of, which seems silly. Other than that, I found the TR-8S to be very enjoyable to use, and a great addition to my hardware-only setup. For TR-Sync, setup was less intuitive. I got frustrated trying to make it work and not understanding what the issue was, but fortunately, Roland support was able to get me squared away. Once I got that bit out of the way, I had a lot of fun running the TR-8S in tandem with the music I was playing in Serato. There are two answers to this question, and it depends on your needs. If you are looking for a great drum machine and controller, with a very hands-on approach, with the ability to connect to your DJ setup, then I can say yes. If you are a Serato user and are looking to break out of the box and run a more interesting live performance than I can definitely say yes. The only thing is that the TR-8S is not cheap, so keep that in mind. 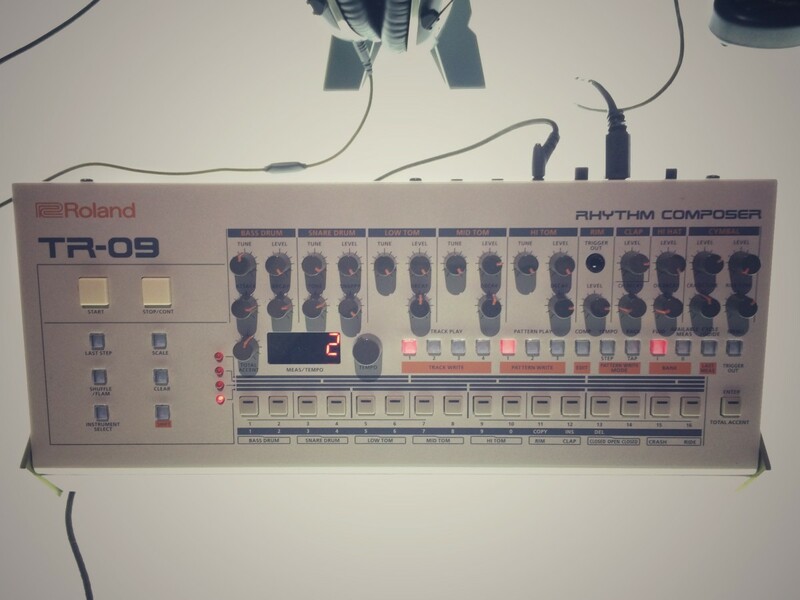 Overall, the TR-8S from Roland is a great machine and is very fun to use. The faders, and ability to load your own samples make it even more so. It&apos;s a bit of a learning curve when you&apos;re so used to how other drum machines work, but if you&apos;re a Roland gear user already, then it should be no problem. Like I said before, the TR-8s isn&apos;t cheap, but you do get a lot inside the box. As for TR-Sync, I think that this is a really great feature, and the did a killer job making it run so seamlessly.